Last week, I served as the judge at the San Diego County Fair for the Great American Spam Championship. 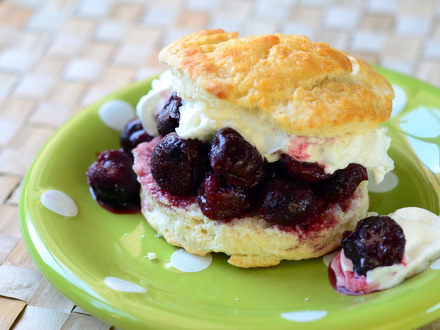 This cooking contest is a huge national event that is held at 26 different state and county fairs across the country every year. There are divisions for both youth chefs and adults – and the grand prize for coming out on top of all the other recipes is a trip to SpamJam in Waikiki. As far as cooking contests go, it’s a fun one. Yesterday, I ended up on the San Diego Living morning show to talk about Spam, the county fair and do a little bit of cooking! It was a great experience and I had a blast with both the production staff and the hosts. It was a long segment, but it went by in a flash! 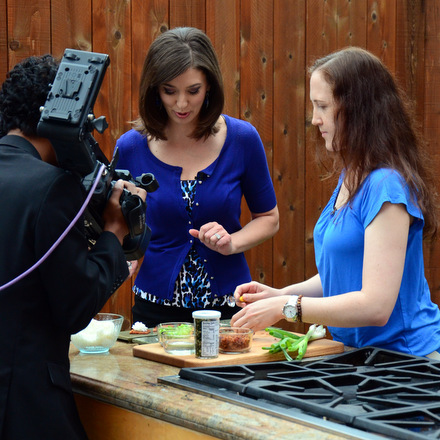 The host of the segment, Kerri, had never tried Spam before and wasn’t sure that she would like it. As you’ll see in the video, I did my best to convince her that one taste might just change her mind – especially after I had that Spam cooked up to be browned and crisp. The recipe I prepared was for a dish called Spicy Spam Rice Bites, which won a blue ribbon in the youth division last year. The sushi-inspired appetizers were made with Teriyaki-glazed Spam topped with rice, bacon bits, furikake seasoning, sriracha mayo and green onions. You can get the full recipe on the Spam website. 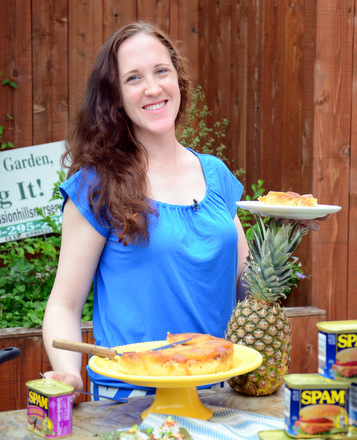 I also had the opportunity to show off my Hawaiian Spam & Pineapple Upside Down Cake, which I’ve shared here at Baking Bites before.